After having repeatedly enjoyed the company of The Pilotwings’ EP “Pour Faire Pleurer Les Chômeurs”, there is another urgent reason to do my dishes later and have a closer look at the French label Brothers From Different Mother (BFDM). 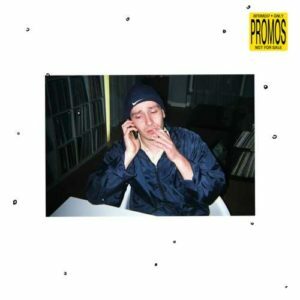 The recording company’s newest release comes from a bunch of young guns and even when some of them have previously appeared on BFDM and other labels, they can be called new artists. Though they are totally unworried about not being invited to VIP rooms so far and just stun the world with compositions that are predominantly filed under ‘jungle’, but offer an eclectic view on the genre. “Only Promos Ma Poule” is a high-spirited collection of electronic variations, starting with “Purposeful Lady Glow Afternoon” by Basses Terres, a track being towed by sluggish hangman bass and topped by a wealth of samples from human moans to birds and bells. C.R.K.’s “Basse Music” opens with similar sound effects and rattles over a volcanic terrain, episodically recalling Hidden Hawaii’s excursions. The beat knob is turned up by Jonquera in “Findus”, ocean liner’s horns backing the breakdance takeover in the cargo terminal area. The beauty award goes to Lastrack for “Axel Fif (Part 2)”, a non-prescription tranquiliser that combines early intelligent techno and jungle motives, before the last minutes are spent with metallic offbeat spasms of Jean Redondo’s “Gen”.